The 10th annual edition of analytica Anacon India and India Lab Expo successfully concluded in Hyderabad at HITEX Exhibition Center. 259 exhibitors from 11 countries showcased products, recent developments and market trends from laboratory instruments, analysis, diagnostics and biotechnology from September 21 to 23, 2017. Spread over 10,500 square meters, the trade fair witnessed a growth in visitors as compared to the previous year, resulting to 7,714 trade visitors. To stay connected with industry needs, Messe Muenchen India released a market study on analytical instruments industry which highlighted that Government and academia are the largest buyer (40%) followed by Research and Pharmaceutical industry and the Indian analytical instrument industry is expected to reach 2.4 bn EUR between 2012-20 at 17% CAGR. The Live Lab demonstrations gave an overview of important methods of working in a laboratory. The presentations on ‘Food & Pharma Analysis’ educated on the practical applications of laboratory instruments and raised immense interest. The interactive and educational seminar to improve lab efficiency generated the interest of many lab users. This program not only spread awareness among the industry but also gave useful tips related to lab organization, application routines and safety to lab practitioners and students. The Buyer-Seller Forum provided an attractive context for pre-scheduled business talks with targeted contacts. The program was well received and 852 meetings took place during the trade fair. Some of the leading companies participated in the show were Ministry of Defence, DUPONT, Aurobindo Pharma, Bharat Biotech, Indian Institute of Chemical Technology, Novartis Healthcare, Hetero Drugs, to name a few. 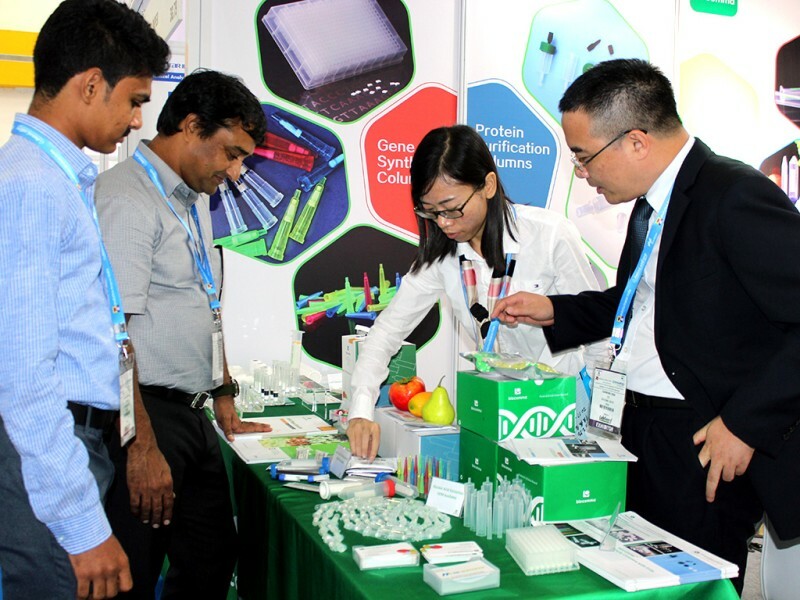 “The highlight of analytica Anacon India and India Lab Expo has been its ability to connect right audiences for business, learning and networking opportunities. Our initiative of market study will help international and domestic stakeholders to make informed business decisions while getting to know the market trends better. We are confident in the upcoming editions as well, analytica Anacon India and India Lab Expo will also be fruitful for the industry.” Singh concluded. The next editions of analytica Anacon India and India Lab Expo will take place in Mumbai from April 25 to 26, 2018 and Hyderabad from September 6 to 8, 2018. Log on to www.analyticaindia.com for more information on the trade fair.